Produced commercially in Australia for the past 25 years, the locally grown Nashi is a marked improvement on the original varieties. A smooth green-yellow fruit picked ripe to eat, the major variety, Nijisseiki, is available in supermarkets and greengrocers from March to October. About 90% of Australia’s Nashi production comes from Victoria’s Goulburn Valley, and some 20 commercial growers operate throughout the country. 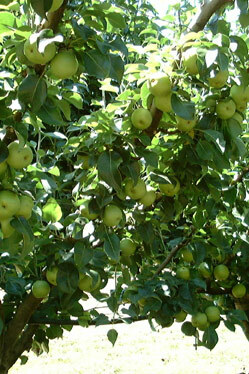 Represented by the Australian Nashi Growers Association, the industry produces around 4,500 tonnes annually. to ensure business and the Association continue to be relevant in the future. ANGA is committed to increasing Nashi consumption by promoting the fruit’s attributes as a luscious all purpose fruit that is versatile, succulent and refreshing all year round. To get more information on joining ANGA contact us now!